Wedding ring engraving – What does it say about you and about the future of your marriage? No, I am not talking about the wedding ring engravings that spell out the couple’s initials and birthdays or the date of the wedding. Not even the ones that have wedding vows engraved on them or feature memorable quotes, mottos and mantras – what have you. I am talking about all of the above, but from a very different perspective. In my opinion, these are very important sociological observations. Most interestingly, if you choose to engrave your wedding rings you are sending a signal to everybody, including your future spouse! The signal that says, “This is a serious thing. 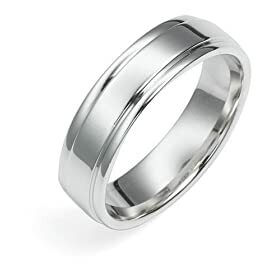 We will wear these rings for a long-long time.” The psychological motives behind this may be simple. By creating special memories and unique shared experiences people tend to become closer to each other. Traditionally this is meant to be achieved by having an expensive wedding with many guests. True, this is a sure way to create memories and family ties. We all know, of course, that expensive weddings do not insure against divorces any better than modest ceremonies. Why would a wedding ring engraving create any hopes for a better married life? As we have already noted, when couples choose to have their rings engraved they display the strength of their commitment. The actual engraved rings reinforce their commitment. While still a part of the wedding ceremony held in public (expensive of not), the traditional exchanging of the rings becomes more intimate and meaningful for the bride and the groom. The memories associated with engraved wedding rings are more personal and enduring than the recollections of a public event that is a wedding. And that’s the reason why engraving your wedding bands has the potential to add lasting value to a relationship. Now, of course, if you look from this perspective, choosing an inscription for your wedding rings becomes an even more serious task. Wouldn’t it seem that the more personal the message on the wedding rings, the better? And, speaking of unique and unusual engravings on wedding rings, how does “Lobster” sound to you?